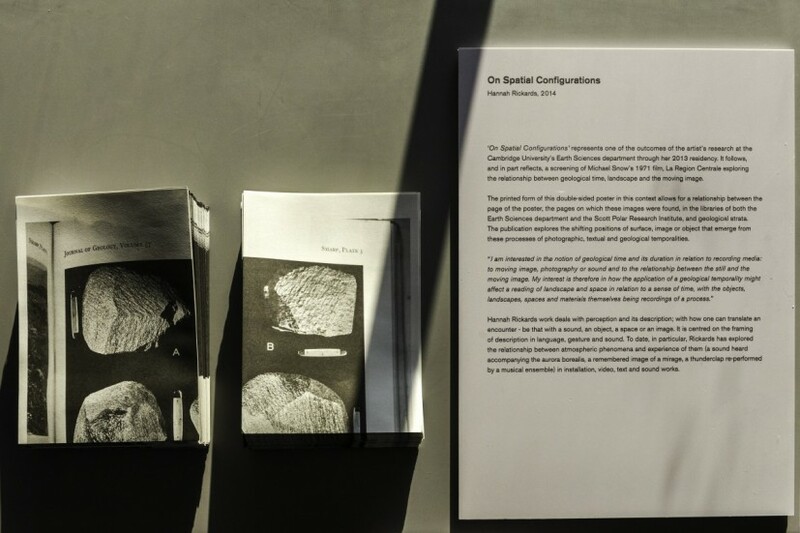 Hannah Rickards project entitled On Spatial Configurations, reflects her research during her Residency at the University of Cambridge’s Earth Sciences department. She produced an A2 artwork in the form of a double-sided poster that is available for the public to take away at Kettles Yard, the Polar Museum and the Sedgwick Museums. 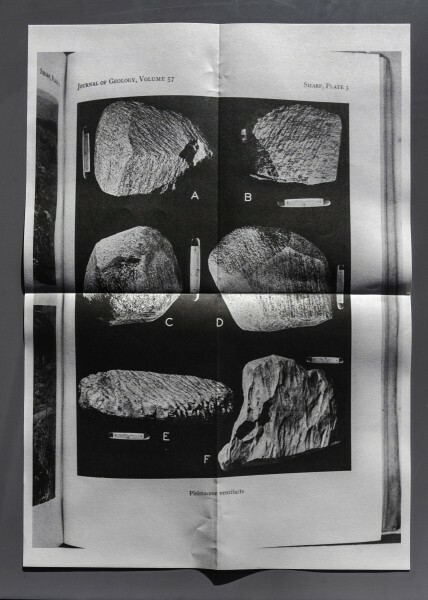 During her Residency Hannah Rickards spent time researching in the libraries of both the Earth Sciences department and the Scott Polar Research Institute, and she became fascinated by the different scales and inscriptions of time she found in the images of geological strata and landscapes in Geological Journals in both libraries. On Spatial Configurations explores the relationship between geological time, landscape and the moving image. 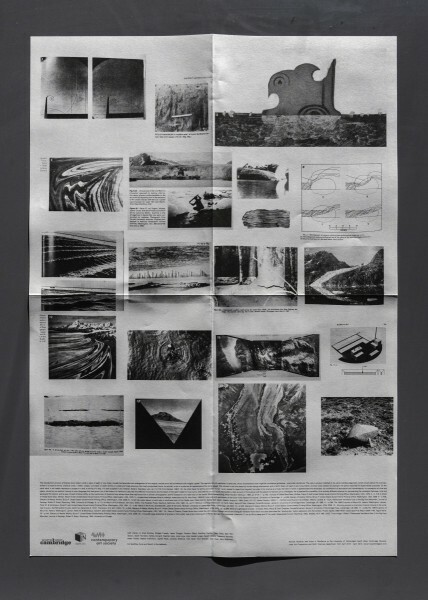 Hannah Rickards also explored this theme during her Residency by organizing a screening of Michael Snow’s, La Région Centrale, 1970-71 at the Arts Picturehouse Cinema in January 2014, followed by a panel discussion which took place at the Department of Earth Sciences to discuss the film.